It started out as a piece of One Direction fan fiction and now it is being turned into a movie. 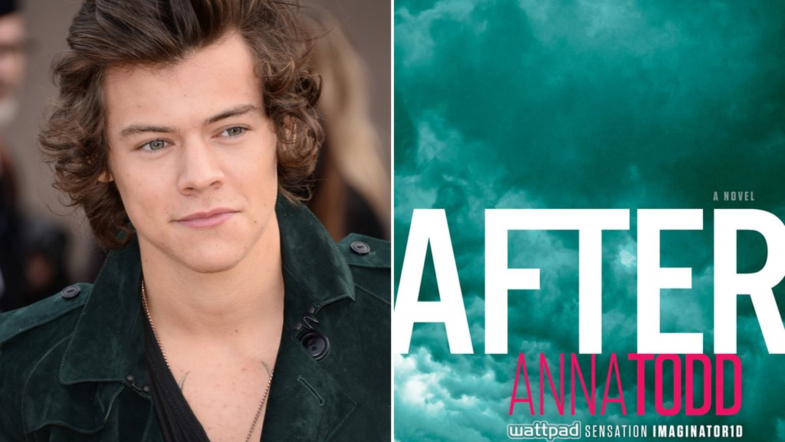 Love it or hate it, Anna Todd’s book After is scheduled to start production in Boston next month. After is the story of Tessa, a good girl who is starting her freshman year of college, and Hardin, the British bad boy who quickly gets her attention. He’s rude and cruel to her, but once they kiss, there’s no turning back for Tessa. The more he pushes her away, the more compelled she is to uncover who he really is underneath all his lies. She doesn’t know why she is trying so hard. Maybe it’s love? The book started out as a work of One Direction fan fiction on Wattpad in 2013. It garnered over 800 million reads on the platform before being acquired and published by Simon and Schuster in 2014. The book went on to become a bestseller and has been translated into over 30 languages. It is the first in a series of five books. The movie adaptation will star Julia Goldani Telles, best known for her role as Whitney Solloway in the popular television series The Affair, as Tessa and Hero Fiennes Tiffin, who played the eleven-year-old Tom Riddle in Harry Potter and the Half Blood Prince, as Hardin. When Mark and I read the script and then Anna’s book, we were super-excited to be involved with bringing this current and timeless story of first love to life. Jenny Gage has an amazing sensibility and vision for this film and the collaboration with her, Jennifer Gibgot and Anna Todd is going to make a unique, edgy and powerful film. In reference to the casting, the author herself added that she can’t wait for everyone to see Telles and Tiffin as Tessa and Hardin in the film. “When I saw these two incredible actors together, I knew immediately they were meant for these roles – their chemistry and talent is going radiate off the screen,” she said. Expect After to hit theaters sometime next year. Until then, you can find the book here on Amazon.